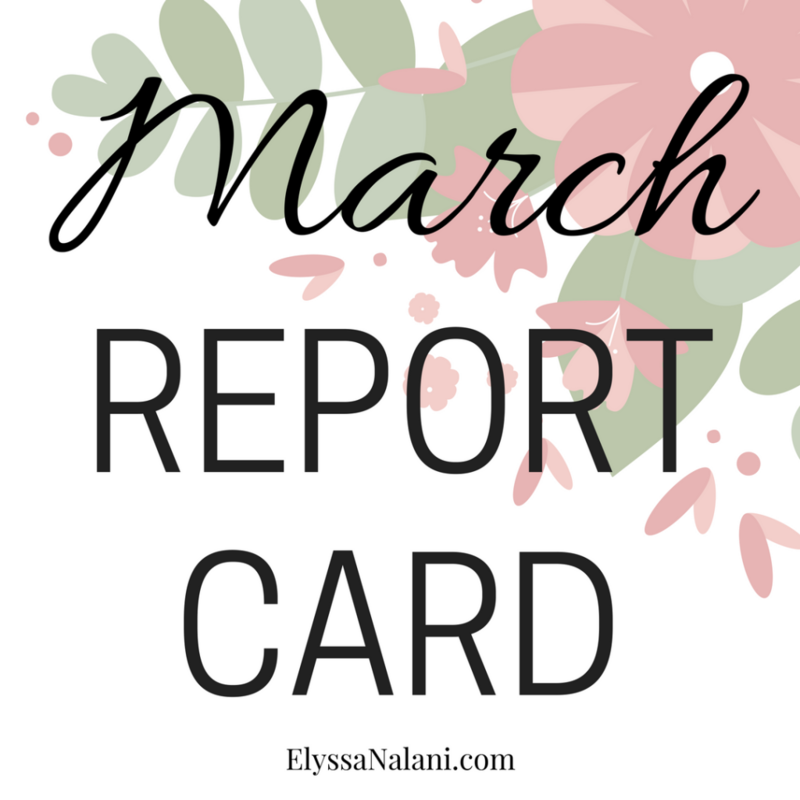 March report card time!! Let’s see how I did with my to-do list for the month! Set up my home management binder – A+. My binder is set up! It’s not completely finished yet but I’m okay with that because there are a few things I’m still figuring out. I’m super excited to use it next month!! Start meal planning – B. It’s going to take me awhile to get a good rhythm down but I have started and I’m looking forward to trying new dishes, eating well, and staying organized with our meals! Finish cleaning and organizing the house – B-. This is not completely my fault. We still need to get a storage shed out in the back and another piece or two of furniture before everything’s decently organized. I have made a little headway here and there but it’s definitely been a bigger challenge than I thought! Start working out again – D+. Yeeeeeeeeeah, neither of us worked out at all this month. I didn’t give myself an F though because we did do some hiking and I’ve been trying to meet my step goal every day on my FitBit. So not a total fail but a little too close for comfort! Get my named changed – F. This was a complete and utter fail. I didn’t do anything toward changing my name at all. Ugh. Good grief that F killed me! Hopefully I do better next month!